Collins Plastic Surgery offers a wide array of surgical, nonsurgical, and reconstructive procedures to rejuvenate or enhance one’s appearance. The practice is in Melbourne. 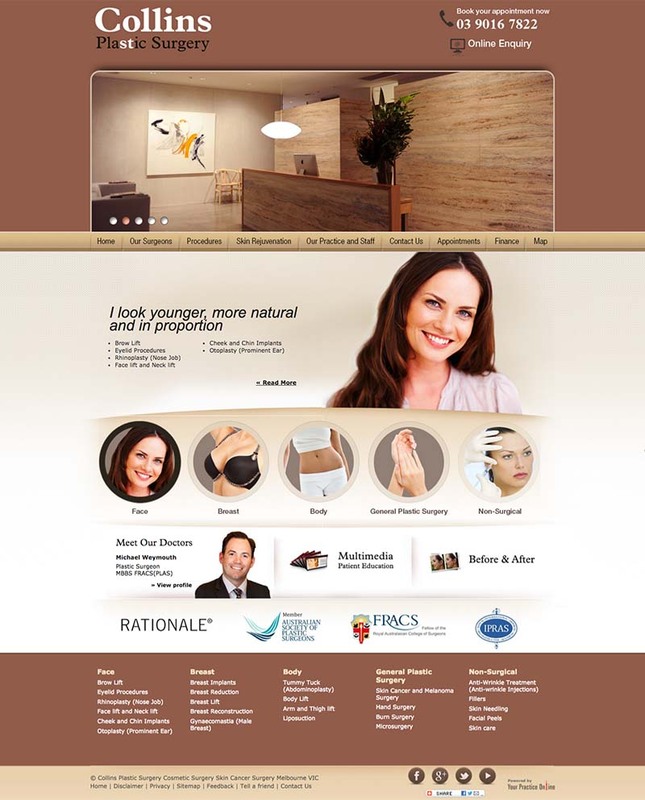 The medical website redesign need to be in skin and gold tones.